Teachers wave signs protesting Republican Gov. Claude Kirk in 1968, the year Florida was home to the first statewide teacher walkout in history. Republican Gov. Claude Kirk promised better schools and no new taxes. Teachers weren't satisfied. Thirty thousand people — half of the state's teachers — gathered at the Tangerine Bowl in Orlando in August 1967 to begin planning the strike. Phil Constans, Florida Education Association executive secretary, speaks at the Tangerine Bowl gathering in August 1967. FEA executive secretary Phil Constans holds a $1,000 check sent by the Oklahoma Teacher Emergency Fund in August 1967. In the tense months leading up to the strike, teachers invited parents to their schools to showcase how conditions were lacking. The event was held on Oct. 1, 1967; they called it "Crisis Sunday." One protestor waved a piece of hot pink poster board featuring a list of the states where teachers have gone on strike in recent months, each with a checkmark after it: West Virginia. Kentucky. Oklahoma. Colorado. Arizona. Next to Florida, there was a question mark. “We’re living in a historical moment that if we don’t take advantage of and exploit that moment, then we’re all the worse [off],” said Alex Hernandez, who teaches U.S. history at Holmes Braddock Senior High School near West Kendall. He’s spent 18 years in the classroom. Hernandez said teachers in Florida can agitate, organize and shame. But they won’t strike, because there’s too much to lose. State law says striking teachers could lose their jobs. Union leaders fear they could lose their teaching licenses and pensions too. Alex Hernandez, a U.S. history teacher at Holmes Braddock Senior High School, protested outside the school board building in May. It wasn’t always that way. In 1968 — 50 years ago — Florida was home to the first statewide teacher strike in U.S. history. The three-week walkout led state leaders to guarantee workers’ collective bargaining rights in state law and the constitution — making Florida a leader in the South. And educators in Miami-Dade County played a leading role. 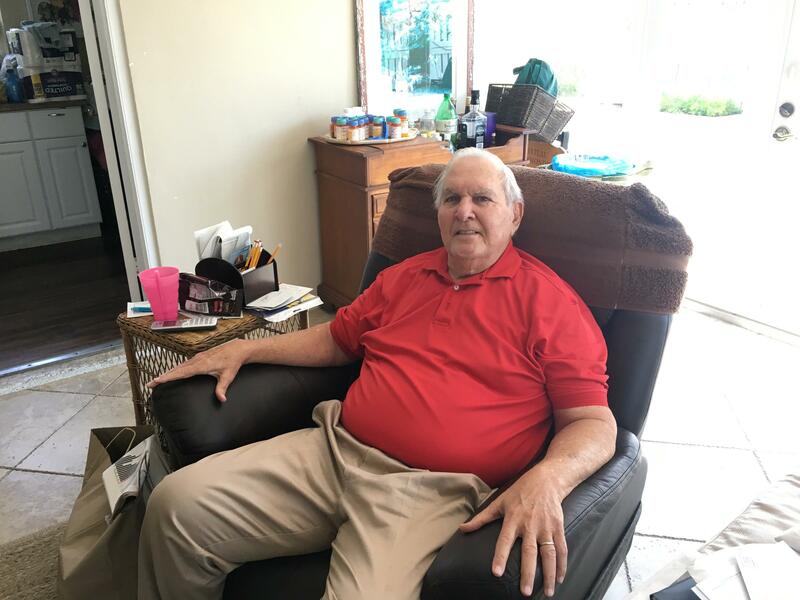 “What we needed at that time was action,” said Raymond Dunn, who was a third-year teacher in charge of fifth and sixth graders at Colonial Drive Elementary School in Perrine when he participated in the strike. Tension between state lawmakers and teachers had been heating up for years. Florida’s population was exploding, and schools were struggling to handle the influx of new students. Teachers had the same complaints then that are still prevalent among public school employees now, here and around the country: little pay, poor working conditions, too many kids in a classroom, buildings in disrepair. “Fortunately there were enough of us who were willing to cross that line, and step out there and say, enough is enough: Fund the schools,” Dunn said. Republican Gov. 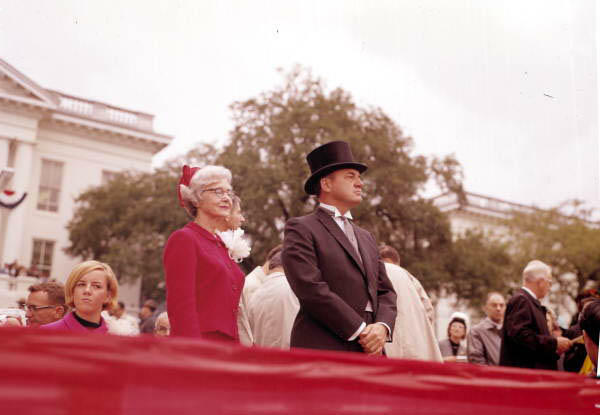 Claude Kirk with his mother at his inauguration in 1967. In 1966, Florida Democrats split their support between the incumbent governor W. Haydon Burns and his challenger, Robert King High, the mayor of Miami at the time. The result: Republican Claude Kirk pulled off a stunning upset. Kirk promised two things: better schools and no new taxes. During his inaugural address in 1967, he said his “long-range objective” was “the creation of the best educational program in the United States. “And it is obvious that money alone is not the answer,” he said. During the legislative session that followed, lawmakers appropriated $150 million more for schools. But Kirk vetoed the funding. That summer, the Florida Education Association, a statewide union, organized a massive meeting at the Tangerine Bowl in Orlando. Thirty thousand people — half the state’s teachers — showed up. Striking was illegal. So union leaders asked teachers to resign. Some teachers were more prepared than others. In the fall of 1967, there were “spot strikes” around the state, where a relatively small number of teachers would skip school for a day or two. Kirk called a special session of the Legislature in 1968 to try to appease the teachers. Lawmakers passed a new education funding bill, this time worth more than $300 million. They paid for it with new sales taxes, including on alcohol and cigarettes. Teachers didn’t think it was enough. Also, they were angry because they expected to be blamed and maligned for the tax increase when not all of the money was going to schools. Some of it was earmarked for property tax relief. And they expected Kirk would nix the bill anyway. “We had a decision to make — to wait until he vetoed it or not to,” said Pat Tornillo, then president of the Dade County Classroom Teachers Association, in a 1992 documentary produced by WFSU-TV/The Florida Channel. On February 19, 1968, more than 25,000 teachers didn’t go to school. And 22 of Florida’s 67 school districts closed. Some districts and schools stayed open with substitutes — union members called them “scabs” — but there was more babysitting than teaching going on. “We were bringing in anyone that had any blood flowing — warm bodies,” said A.J. “Bookie” Henriquez, who was then the assistant superintendent of the Monroe County district, the Florida Keys. A.J. "Bookie" Henriquez, 84, pictured here in his Key West home, was on the Monroe County school board — the Florida Keys — during the 1968 walkout. The school board in the Keys wanted to fire all the teachers and ask the state to revoke their certifications. Henriquez told the school board not to do it, going against his boss, Superintendent Harold C. Campbell. Feeling bad about his disloyalty, Henriquez offered the superintendent his resignation. “His answer to me was, ‘Just cool it. Take it easy. Just let some time go by, and, let’s see what happens,’” Henriquez said. Campbell retired later that year, and Henriquez ran for the position. He won and served for 24 years. As the 1968 strike began, two-thirds of Dade County teachers walked out. They gathered at Miami Marine Stadium, which sat several tiers high on Virginia Key, overlooking Biscayne Bay. Union leaders flew in by helicopter or rode in on water taxis to a rostrum placed in the water, egging the teachers on in massive pep rallies. “I remember it being loud and a lot of cheering and yelling — I'd say like a football game, except I don't like football games, and I liked this,” said Judith Blum Blanchard, 74, who taught at Coral Park Senior High School in Westchester. 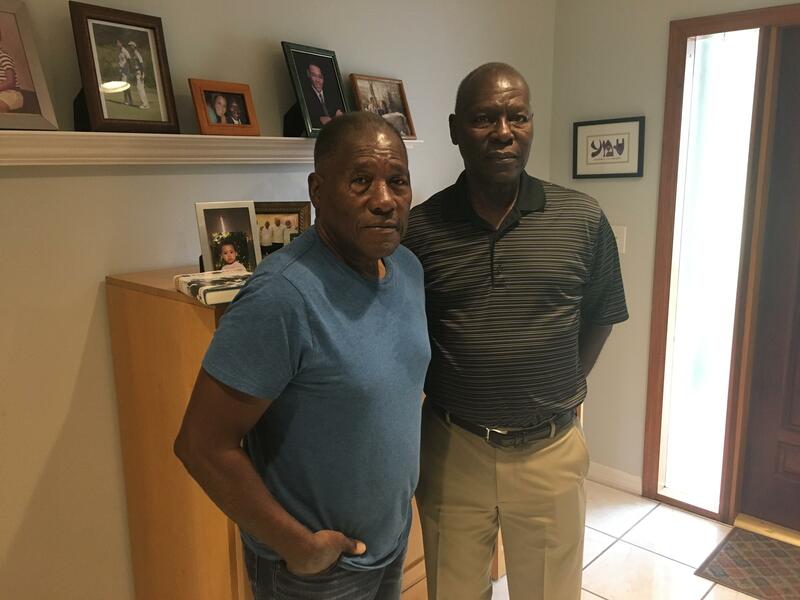 Brothers Marvin and Raymond Dunn pose for a photo at Marvin's house in Palmetto Bay. Raymond, 74, participated in the 1968 teacher strike when he was teaching at Colonial Drive Elementary School in Perrine. Raymond Dunn went to Marine Stadium the first night of the strike. He didn’t know whether to feel hopeful or resentful about the crowd, which was racially mixed in a way he hadn’t seen before. He sat there in the stadium, looking south to Virginia Key Beach, which had been an exclusively black beach during segregation. Then he looked across the causeway — to the white beach. “I’ve thought about that over the years: What a powerful picture it was to see all of those teachers — black and white — together, when I know the history and the terrible, terrible things that happened right down the street from there,” he said, “when white people thought that if black people got in the ocean with them that somehow, the color would come off — or whatever the hell they thought, I don't even know. “I was rather conflicted,” he said. Dunn, 74, lives in Fort Lauderdale now and teaches at Broward College. He has also served as a professor and an administrator at Miami Dade College and Nova Southeastern University. When the teachers walked out of their schools, the governor was out of state. Kirk was in California, negotiating the opening of Disney World. Newspaper front pages ran photos of teachers protesting here next to one of Kirk shaking hands with Goofy. A few days into the strike — on Feb. 21, 1968 — Kirk headed from California to Miami, determined that if he addressed the teachers, he could convince them to go back to their classrooms. Sanchez, the researcher and former Herald editorial writer, said the governor arrived at Marine Stadium in a helicopter. “[Kirk] asked an aide to find out what was the longest Cuban dictator Fidel Castro had spoken,” Sanchez said. A Cuban reporter there said it was a few hours. Adora Obi Nweze was 25 and had been teaching in Miami for about a year and a half. She remembered tears streaming down her face as Kirk addressed the crowd. 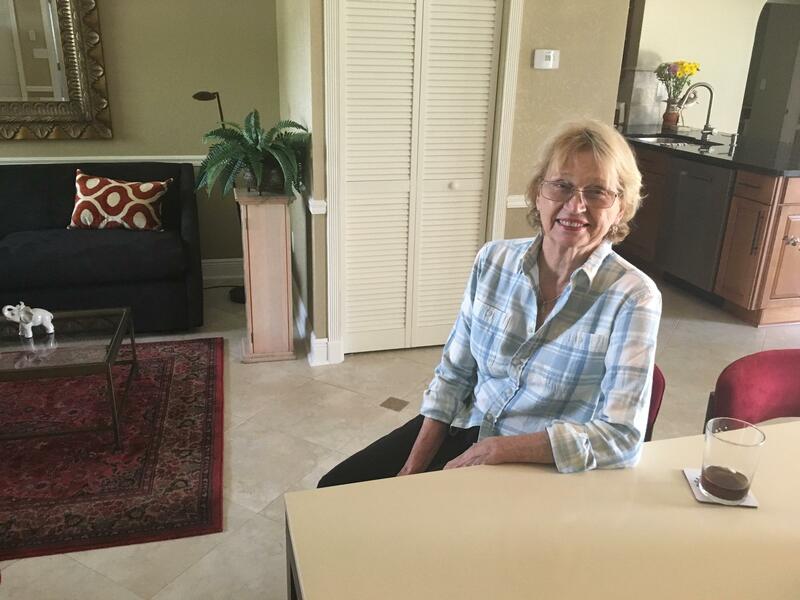 Marilyn Neff, 81, pictured here in her home in Cooper City, was a new first-grade teacher at Highland Oaks Elementary School in North Dade County in 1968. She drove her colleagues to Marine Stadium every day in her red station wagon. Marilyn Neff said the crowd was respectful but disdainful. She was a new first-grade teacher at Highland Oaks Elementary School in North Dade County at the time. Neff said she had volunteered to drive her colleagues to the stadium every day. Neff is 81 now. She was a teacher and an administrator in Miami-Dade County for 30 years and ended her career as associate dean of education at the University of Miami. Marine Stadium closed in 1992 and is now covered in graffiti. A national push for its restoration has now been on hold for years. 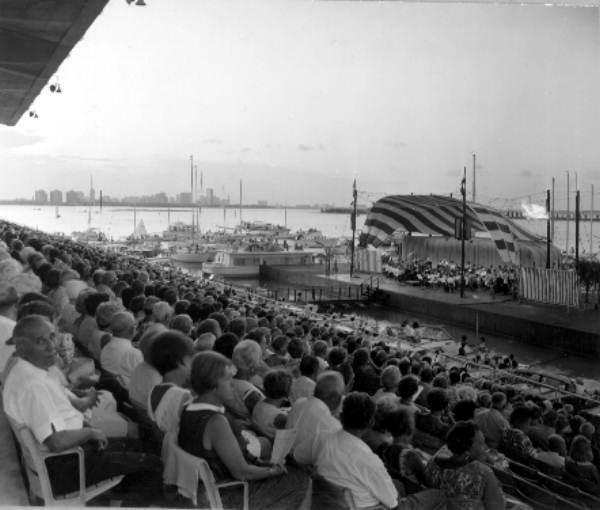 An audience hears a concert at Miami Marine Stadium in 1967, a year before it was the gathering place for local teachers during a statewide strike. 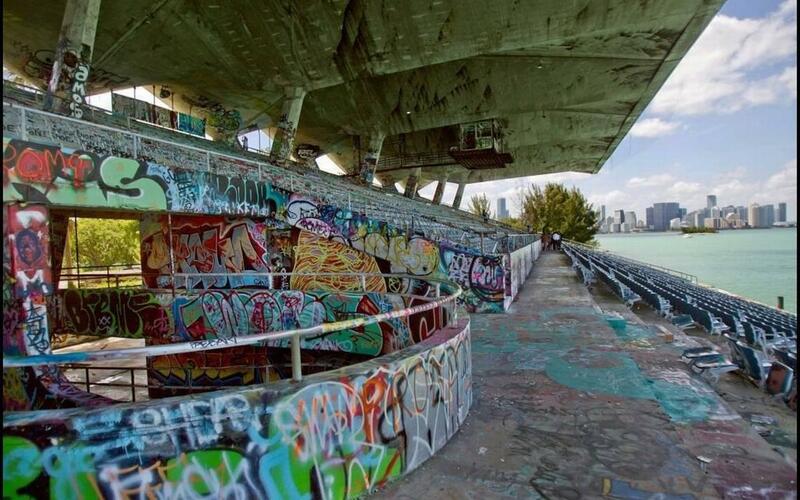 Miami Marine Stadium in 2003. The venue closed in 1992 and has since been named a historical landmark. Efforts to restore it have been on hold for years. State leaders knew Miami was the key to ending the strike. 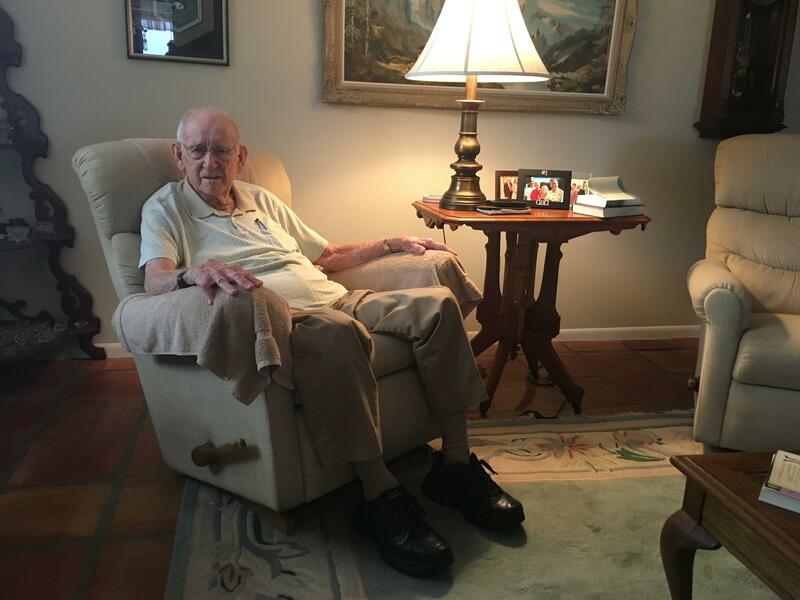 “If we resolve it in Dade County, it would take care of the state,” said Holmes Braddock, 92, who lives in West Kendall near a school that’s named after him. Holmes Braddock, 92, lives in West Kendall near a school that's named after him. He was on the Dade County school board in 1968 and helped negotiate an end to the strike. Braddock was on the Dade County school board in 1968. He was sympathetic to the teachers — his mom had taught for 41 years before retiring — so his colleagues asked him to negotiate a resolution with the local union president, Pat Tornillo. The union had a headquarters at Dupont Plaza Hotel, which no longer exists but was in downtown Miami. He and another board member used to sneak in late at night to meet Tornillo so they wouldn’t be seen. The Dade superintendent and school board members planned a trip to Tallahassee to try to convince the cabinet — which also served as the state board of education — to make some concessions. At this point, some schools had been closed for a couple of weeks, and parents weren’t happy. There was intense public pressure on school district leaders to accept teachers’ resignations — just fire them all. But the district couldn’t do that, because it would be impossible to replace thousands of teachers. So local leaders made a plan to buy time: Tornillo would bring the resignations to the deputy superintendent, who they left in charge. “So that day, we went to Tallahassee, and Tornillo backs up a truck — because there were boxes and boxes of 5,200 resignations there,” Braddock said. But the deputy said he didn’t have the authority to accept them. With prodding from the Dade district leaders, the cabinet acted: telling school boards they were allowed to recognize teachers’ unions as the exclusive collective bargaining units for their members. Kirk didn’t veto that new education spending bill. He let it become law without his signature. And the strike came to a close. Tornillo led the Miami-Dade union for four decades, and teachers widely credited him for the accomplishments of the walkout. But later, they felt betrayed. He went to prison in 2003 for embezzling union funds. He died a few years after that. 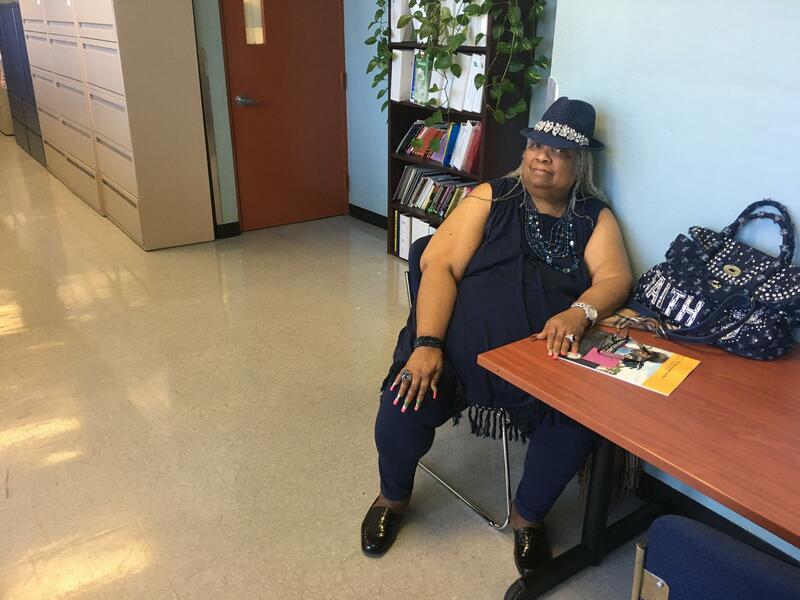 Adora Obi Nweze, 76, sits in the hallway of the Miami-Dade County school district building, where she once worked as an administrator of Title I programs. She was a teacher at Lillie C. Evans Elementary during the walkout. She earned only $6 during the month of the walkout. After, she went back to Lillie C. Evans Elementary near Liberty City, where she taught. It was the same school she had attended as a little girl, and her principal as a child had become her boss. Nweze later became a principal and a district administrator and now leads Florida’s chapter of the NAACP. The Legislature held another special session in the summer of 1968, to change the constitution. They wrote new language guaranteeing workers a right to collective bargaining.